As per the US Department of Defense (2013) Dictionary of Military Terms, Power Projection is a term used to refer to the capacity of a state to apply all or some of its elements of national power – political, economic, informational, or military – to rapidly and effectively deploy and sustain forces in and from dispersed locations to respond to crises, to contribute to deterrence, and to enhance regional stability. Projection of Hard Military Power paid dividends up to the end of old War era. With the breakup of USSR and change in the world order, even the US military was not successful in projecting Hard Military Power as was seen in Somalia, Afghanistan, Syria and Iraq. Soft Power Projection can be defined as ability of a state to project its influence other than through military combat into an area that may serve as an effective diplomatic lever, influencing the decision-making process and acting as a potential deterrent on other states’ behavior. Deployment of various countries’ militaries during the humanitarian response to the 2004 Indian Ocean Tsunami is one of the best examples. Hard Power facilitates India’s use of military, economic and political means to influence other States; Soft Power has, through our cultural or ideological means, the ability to indirectly influence the behaviour of other States. ‘Soft Power’ also enables us to distinguish the subtle effects of our culture, values, societal ideas, developmental assistance programs and other forms of influence on the behaviour of other States, from the more direct coercive measures such as, military action or economic incentives or sanctions. A potent form of soft power is ‘intellectual power’, which entails ‘the knowledge and insight of the populace and their leaders’. The strength of India’s soft power has been the power of assimilation. India’s unique ability to embrace different cultures and the philosophy of tolerance and peaceful co-existence continues to be a source of strength for our Nation and a shining example to the world community. Smart Power would be our evaluative ability to combine Hard and Soft Power resources into effective strategies. The Indian Armed Forces have been in the lead in projecting the nation’s Hard Power the soft way. The political leadership, bureaucracy and media have not played up these achievements many a times, resulting in the soft power projection not achieving its full potential. Humanitarian Aid. Indian Armed Forces have an enviable track record in providing humanitarian aid whenever needed, within the country and also in the neighbouring countries, especially in the aftermath of a natural disaster. In many cases, the armed forces moved its troops and resources, without awaiting a formal request from the civil administration or from the higher headquarters. In the aftermath of the Tsunami that hit the Indian Ocean countries including India, the Indian Armed Forces provided assistance to Sri Lanka and Maldives and was able to reach out to Indonesia as well. India provided humanitarian aid in the aftermath of earthquake that devastated Pakistan Occuppied Kashmir in 2005 providing relief materials of medicines, blankets, and food packets. When a severe-cyclonic storm, Nargis, struck Myanmar in 2008, the Indian Air Force and Navy transported more than 100 tonnes of relief material. The 2015 Nepal saw the Indian Army and Air Force commence relief operations on the first day itself, which was scaled up in the subsequent days. Non-Combatant Evacuation Operations. The Indian Air Force has come out with flying colours in the evacuation of Indian citizens and people from other countries from a third country when they were endangered by war or civil unrest (Operation Rahat in April 2015, Yemen). During the evacuation operations during the Yemen crisis of 2015, the Indian Air Force took a lead in rescuing Indian citizens as well as foreigners trapped in Yemen, evacuating more than 550 foreigners from 32 countries, including a dozen Americans and three Pakistanis. The 1990 airlift of Indians from Kuwait post Iraqi Invasion of Kuwait by Air India, the national carrier, with support of the Indian Air Force finds a place in the Guinness Book of World Records for the most people evacuated by a civil airliner. They evacuated 175,000 people. This stands out as a prime example of the nation’s Hard Power, projected the soft way in a foreign land. The Indian Armed Forces repeated this act in Iraq (2003), Lebanon (2006) which included Sri Lankan and Nepalese nationals, Libya (2011), Nepal (after the 2015 earthquake- Indian and foreign nationals) and South Sudan (2016). United Nations (UN) Peacekeeping. A state that wants to project itself in the international arena as a major power needs to have strong presence in UN Peacekeeping efforts. Indian Armed Forces have had a fair share in the UN’s commitments and always accredited themselves with their great deeds. India is the largest cumulative troop contributor, having provided almost 200,000 troops in nearly 50 of the 71 UN peacekeeping missions over the past six decades. India, with its demand for a permanent seat on the UN Security Council (UNSC), has to prove to the world through its Peacekeeping that our demand is fully justified. Such actions will surely ensure that India projects its hard military power the soft way, resulting in the nation having a greater say in international decision-making process. Securing Sea Lanes of Communication (SLOC). For India, a peninsular state with a coastline of about 7500 km and with Lakshadweep and Andaman & Nicobar Islands, it is imperative to have a powerful navy. The Indian Navy is a three-dimensional force, capable of operating above, on and underwater, ensuring the safety and security of the Eastern sea board and its assets and India’s Exclusive Economic Zone (EEZ). The oceans in Indian Navy’s area of influence has witnessed an increase in maritime terrorism and piracy coupled with illegal narcotic trade, unregulated fishing, dumping of pollutants and natural disasters. Also, there must have been many SOS calls made by the ships and fishing boats. In order to project hard naval power the soft way, the Indian Navy along with the Coast Guard should possess sufficient resources to mount round-the-clock, all-year-around maritime surveillance in the SLOC. Indian Navy has been an active part of the anti-piracy ops in the Gulf of Aden and in the Arabian Sea. There are quite a few success stories of interceptions by the Indian Navy, but they have not received adequate global publicity. The Navy and the Coast Guard got to be well equipped to respond to the distress calls of ships and got to pursue cases of illegal and unregulated fishing. They got to be vigilant enough to prevent illegal dumping of pollutants in the oceans around us. Developmental Activities. The Indian Military has proved time and again that it can take up any task that cannot be executed by their civilian counterparts. Run-up to the Commonwealth Games in Delhi in 2010, it took seven years for a company to build a Foot Over Bridge (FOB) near the Jawaharlal Nehru Stadium, which then collapsed. The Indian Army, which was called in to salvage Delhi’s pride executed the same job in four days flat and at a fraction of the original cost. In the aftermath of the tragedy where 23 people were killed in a stampede on a bridge at Mumbai’s Elphinstone railway station, the government has turned to the army for a new bridge. This will help in projecting the Hard Power of the Indian Military in a soft way. Parades and Pageants. The Republic Day Parade at Delhi is the best example for projecting the nation’s Hard Power the soft way. It is the culmination of synergy between all the departments of Indian Government and is telecast worldwide as a great show. There is a need to encourage military formations in other cities and towns to facilitate the general public to view such parades/ pageants and also telecast them for wider viewership. Military Facilities. 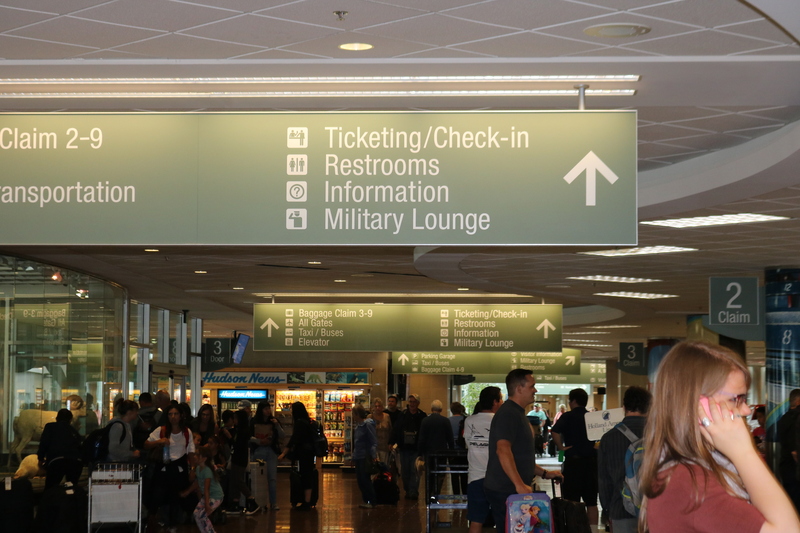 Most American airports have ‘Military Lounges’ and the signage for the same is placed everywhere in the airport. The airlines board the serving soldiers even prior to the Business class passengers. 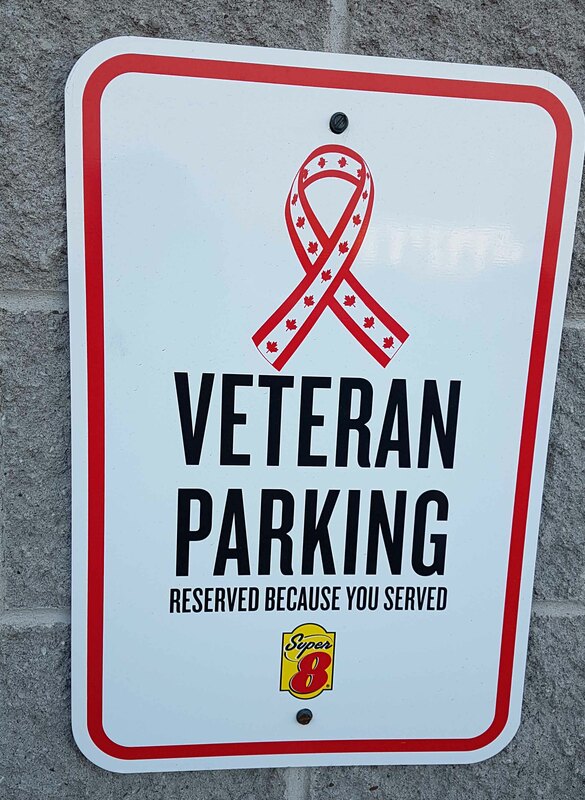 This surely projects the power of the American Military, especially to the travellers from other countries. Many Indian railway stations have ‘Movement Control Office (MCO)’ for the military with a lounge, but is not signaged so. Leave alone foreign travellers, even the Indian travellers are unaware of such facilities. By doing so, it is sure to project the Hard Power. Home Coming Videos. The internet and social media is filled with ‘Home Coming’ videos of American soldiers. Indian soldiers also do ‘Come Home’, but there are hardly any clips on the internet. The same can be orchestrated well by incorporating various videographers available in Indian towns and villages and compensating them well for the clips they provide. Many would even execute the task without charging as most Indians are devout patriots who hold their Defence Forces in high esteem. Recognition to Soldiers, Martyrs and Veterans. It’s an irony that India’s capital Delhi does not have any War Memorial post independence. India Gate was built by British to commemorate the sacrifices of Indian soldiers in World War I. In Canada, almost every city and town has war memorials and museums. During the innings break of baseball games, the two team captains present a signed shirt of their teams to veterans and serving soldiers. During the cricket matches in India, a similar act will pay rich dividends in projecting Hard Military Power. Military History. India has had a chequered and colourful military history, but the reality is that many Indians are unaware of it, forget about projecting it to the world. Many European countries celebrate and recognise the service of the Indian soldiers during the World Wars in grand scale, but there is hardly any such celebrations in India. This year for the Armed Forces Flag Day (07 December) was observed throughout the country to honour the martyrs, veterans and the men in uniform. The media came out with clips of the political leadership urging everyone to wear the Flag on the day, but the political leadership did not wear the Flag as seen from various news clips. In Canada, during the week prior to the Remembrance Day (11 November), almost everyone appearing on the media are seen wearing the Red Poppy. 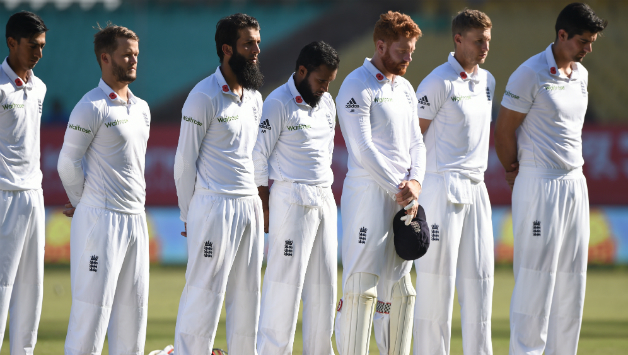 The English Cricket Team that played a test match at Rajkot (November 9-13, 2016) were seen wearing the Red Poppy. Will the Indian Cricket Team ever do so? In order to make the Indian youth aware of the great Military History, there is a need to infuse the same into the school curricula. The Union Public Service Commission (UPSC) and the state Commissions must include at least 5% questions from Indian Military History in their examinations. This will ensure that the candidates study India’s Military History in detail, to a certain extent to answer the questions. If India is to prove that it is a major Military power and also stake its claim for permanent membership in UNSC, there is a lot to be done to project its Hard Military Power. Doing it the soft way will be cost effective and will also enthuse the nation. Great observation sir. Though things are changing on ground but will still take some time.